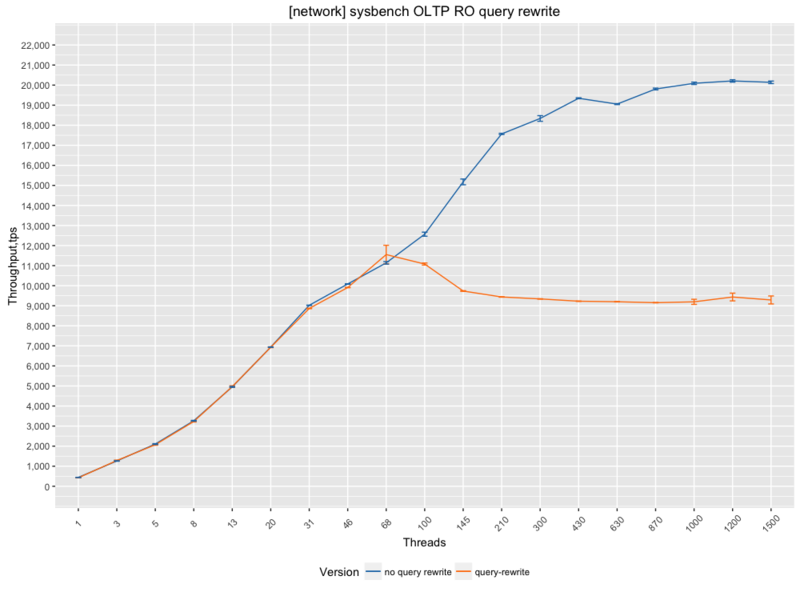 In this blog post, we’ll discuss how the Query Rewrite plugin can harm performance. It is based on the audit plugin API, and unfortunately it suffers from serious scalability issues (which seems to be the case for all API-based audit plugins). As you can see, the server with the Query Rewrite plugin can’t scale after 100 threads. So clearly it’s related to a mutex acquired in the audit plugin API code. I filed a bug (https://bugs.mysql.com/bug.php?id=81298), but it’s discouraging to see that while the InnoDB code is constantly being improved for better scaling, other parts of the server can still suffer from global mutexes. Replication features also suffered from plugin mutex contention. Frankly it was very easy to repeat. I get the same results with audit null plugin which comes with MySQL. I personally have never heard of the Query Rewrite Plugin before. Would it be possible to provide an example on where this plugin would be helpful (or can you provide a link)? The example you provided above doesn’t really highlight the need of such a plugin. A good use would be for Shard-Query. The server intercepts the SQL, passes it to the rewrite layer, the rewrite layer rewrites the SQL as a CALL shard_query.sq_helper(…) call, and that returns a resultset to the client. This is basically functionally equivalent to the MySQL proxy LUA script.